KMAT Kerala Result 2019: University of Kerala will declare the result of Kerala KMAT February session for those candidates who will give the exam successfully. The result will be published on the university official site and available through online mode only. The score card will be valid only for the management colleges of Kerala state. It will be present in PDF format which will include application number, name, roll number, marks & rank. Here we have provided you the complete information so go through this article and get answers to your all queries. KMAT Kerala exam is conducted twice in a year, first in June and second in February. So the Result Date of KMAT Kerala February exam has not been announced yet, but we are expecting that it will be released soon. In QUICK LINKS AND NEWS section, you will see the result download link. Click on ‘KMAT 2019 February Entrance Result’ link. 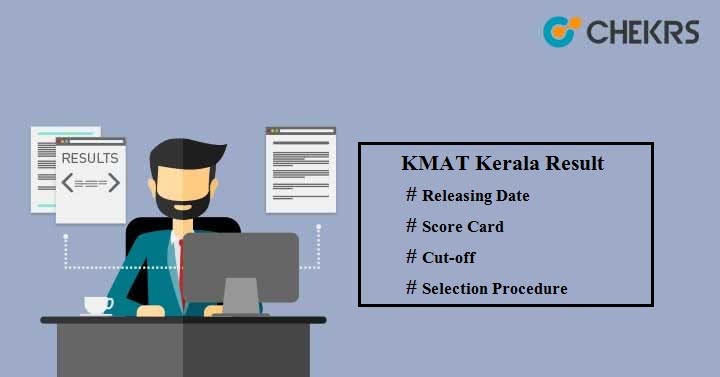 You will see the KMAT Kerala 2019 Result will be opened in the PDF format. Download the result and take a print of it for further use. Candidates who want to download their score card can click on ‘KMAT Kerala Score Card’ link. Enter SB Collect Reference Number and Password and then click on ‘Login’ button. Your score card will be displayed on your screen. The university will decide the minimum qualifying criteria i.e. Cutoff marks to select the candidates for admission. KMAT Kerala 2019 Cutoff will be different for each category. Candidates belonging to general category need to score minimum 108 marks out of 720 to qualify the exam whereas 72 mark for SEBC and 54 for SC/ST candidates. On the basis of candidate’s score, a common Merit List will be prepared in which the qualified candidates of all categories will be included. Later, qualified candidates will be called for next selection procedure. KMAT Kerala Selection Procedure will be comprised of 3 phases Admission Test, Group Discussion & Personal Interview. You will be get notified via email or message regarding GD & PI. Final Selection will be done on the basis of candidate’s performance in entrance exam, GD & PI. For any queries related to Kerala KMAT 2019 Results, you can contact us by writing your message in the message box below.